It is the house of its original owners. Although enlarged, it still maintains its character. Inside, there is an original 60-year-old stove still to be used. The house hosts a living room with a fireplace (with a sofa, board games, books and toys for kids), a big dining room with a kitchen and guests rooms . 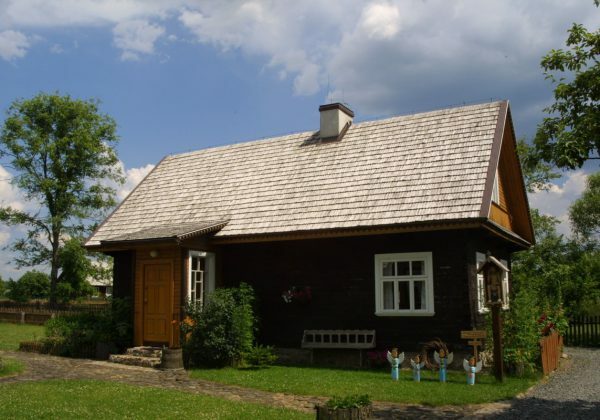 The cottage was moved from Trześcianka village in Narew commune. Built in 1930s from the forest pinewood, it was a typical yeoman home. Arranged for the needs of a guest house, it has been given an elevated roof. 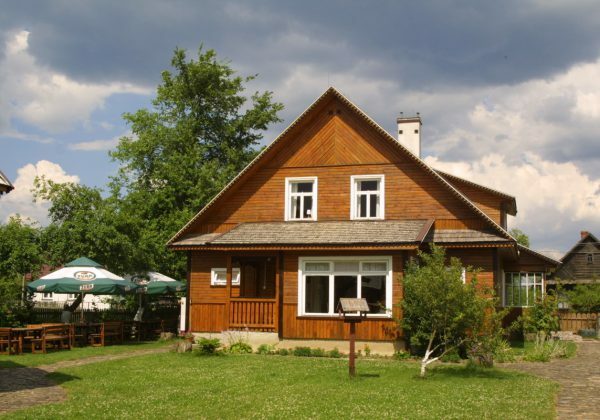 It hosts a living room with a fireplace, a kitchen and double and triple rooms.